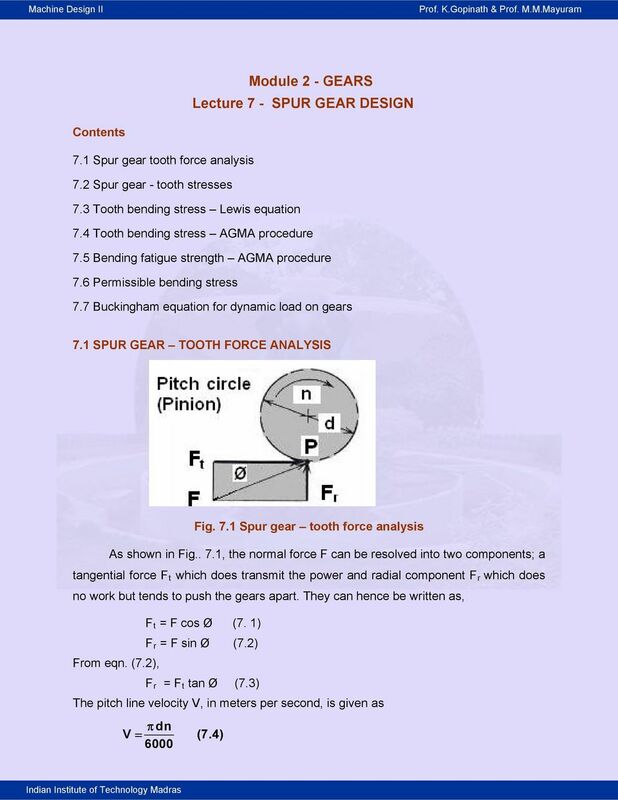 Download "Module 2 - GEARS Lecture 7 - SPUR GEAR DESIGN"
5 Fig. 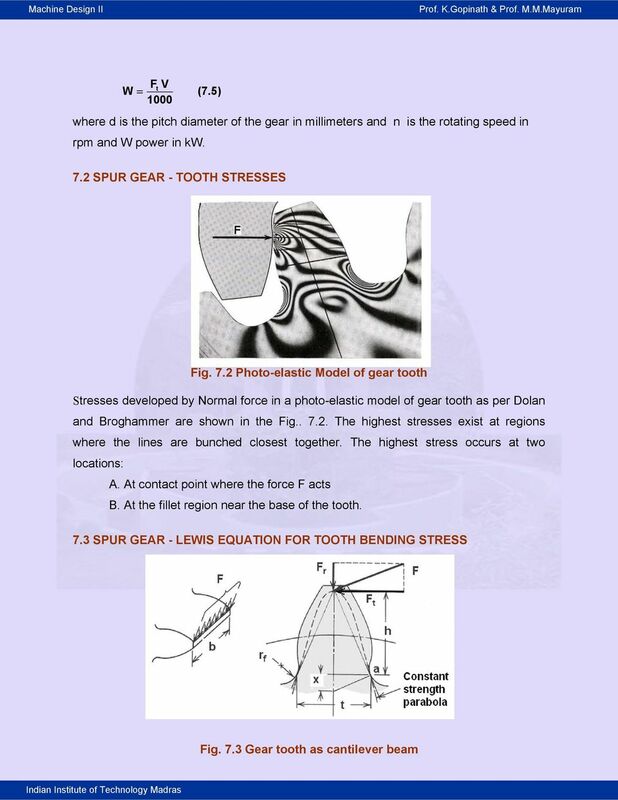 7.4 spur gear - graph 1 for modified Lewis form factor The Lewis equation indicates that tooth bending stress varies with the following: Ft σ (7.12) bym (1) Directly with load, (2) Inversely with tooth width b, (3) Inversely with tooth size p or m, (4) Inversely with tooth shape factor y or Y. 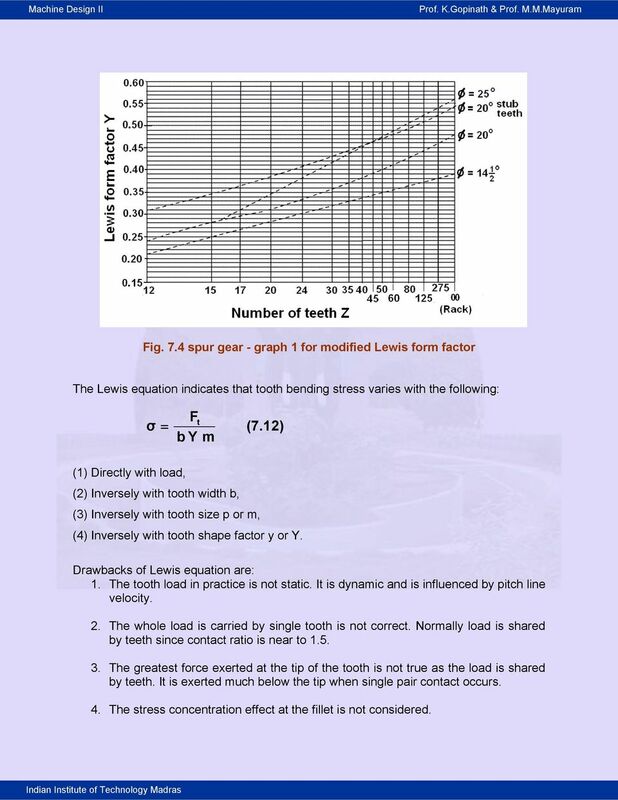 Drawbacks of Lewis equation are: 1. The tooth load in practice is not static. 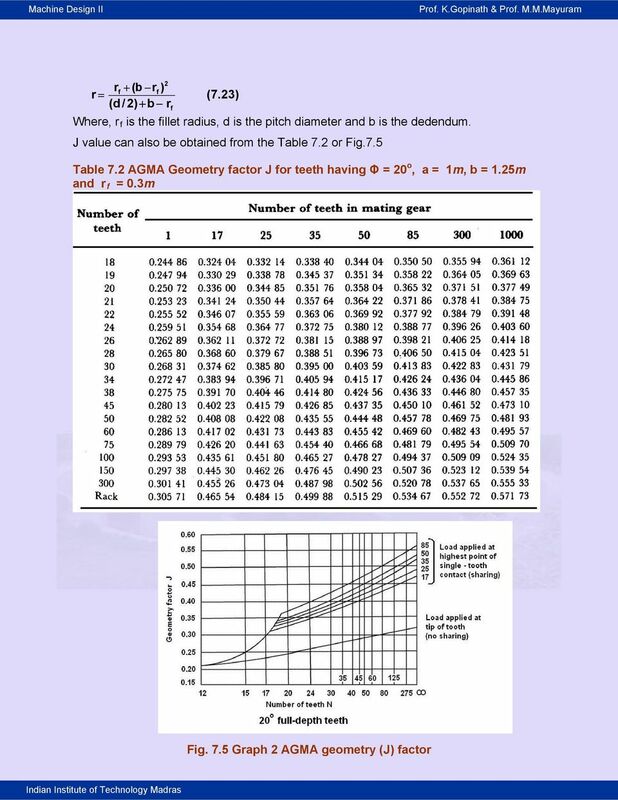 It is dynamic and is influenced by pitch line velocity. 2. The whole load is carried by single tooth is not correct. Normally load is shared by teeth since contact ratio is near to The greatest force exerted at the tip of the tooth is not true as the load is shared by teeth. It is exerted much below the tip when single pair contact occurs. 4. The stress concentration effect at the fillet is not considered. 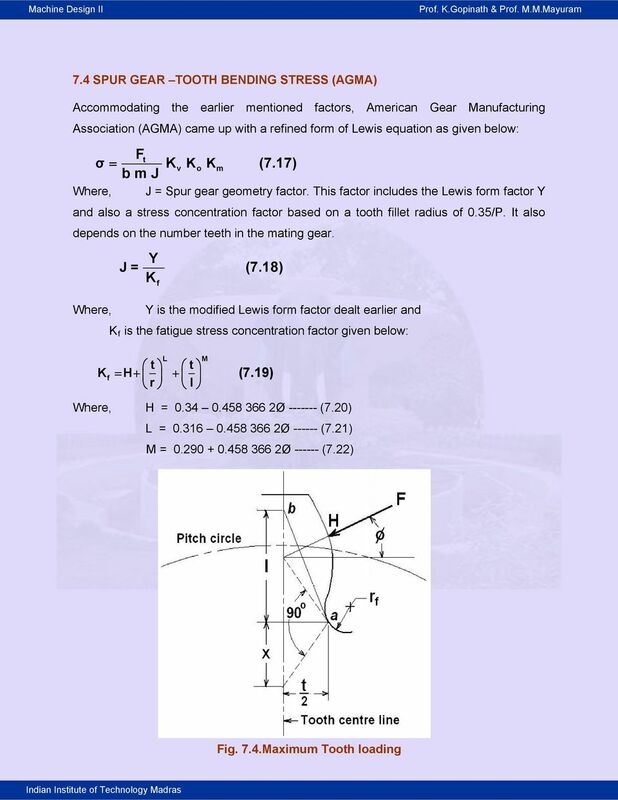 6 SPUR GEAR MODIFIED LEWIS EQUATION FOR BENDING STRESS The modified Lewis equation for bending stress is, Ft σ (7.13) ' K bym v where K v is known as velocity factor and is given by Barth s equation below for known pitch line velocity V in m/s and is given by, ' 6 K v (7.14) 6 V Eqn. (7.14) is used for cut or milled teeth or for gears not carefully generated. ' 50 K v (7.15) (200V) Eqn. (7.15) is used for hobbed and shaped gears. ' 78 K v 0.5 ( 7.16) 78 (200V) 0.5 Eqn. (7.16) is used for high-precision shaved or ground teeth. 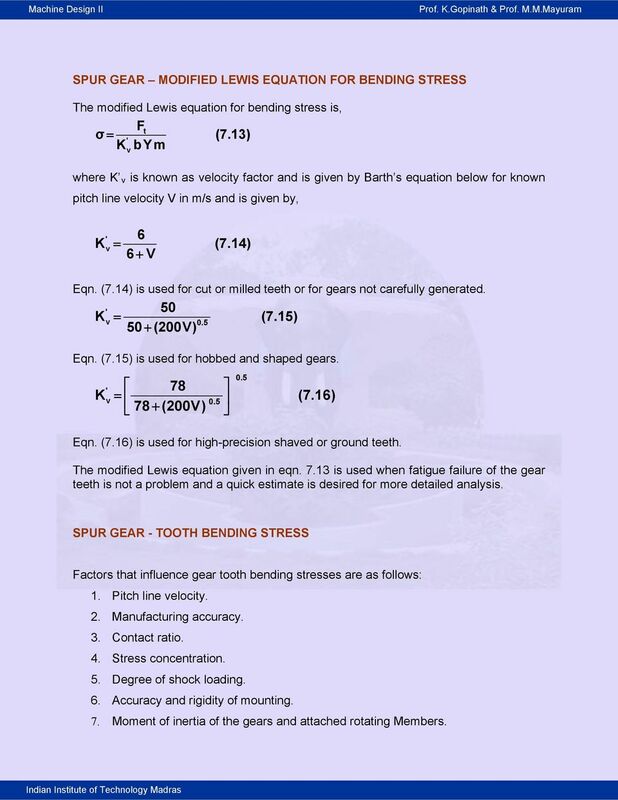 The modified Lewis equation given in eqn is used when fatigue failure of the gear teeth is not a problem and a quick estimate is desired for more detailed analysis. 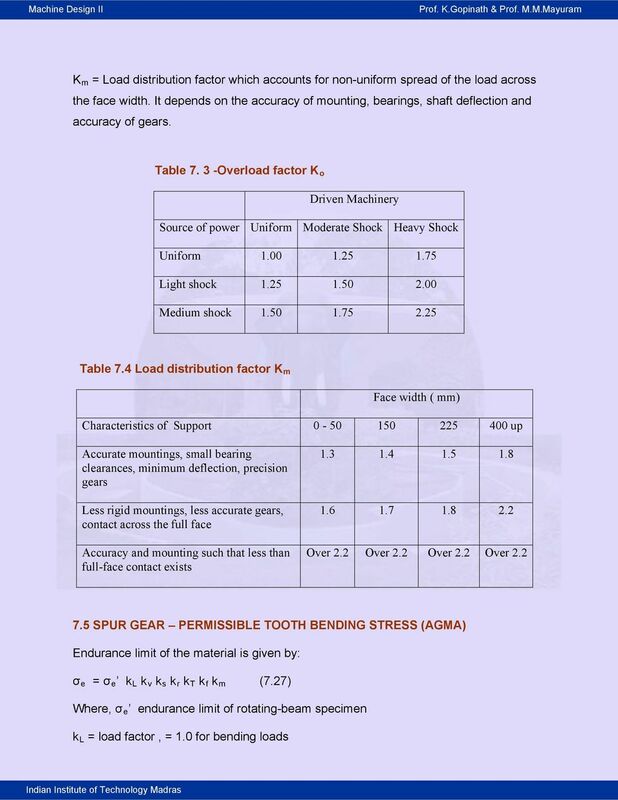 SPUR GEAR - TOOTH BENDING STRESS Factors that influence gear tooth bending stresses are as follows: 1. Pitch line velocity. 2. Manufacturing accuracy. 3. Contact ratio. 4. Stress concentration. 5. Degree of shock loading. 6. Accuracy and rigidity of mounting. 7. Moment of inertia of the gears and attached rotating Members. 11 k v = size factor, = 1.0 for m < 5 mm and = 0.85 for m > 5 mm k s = surface factor, is taken from Fig. 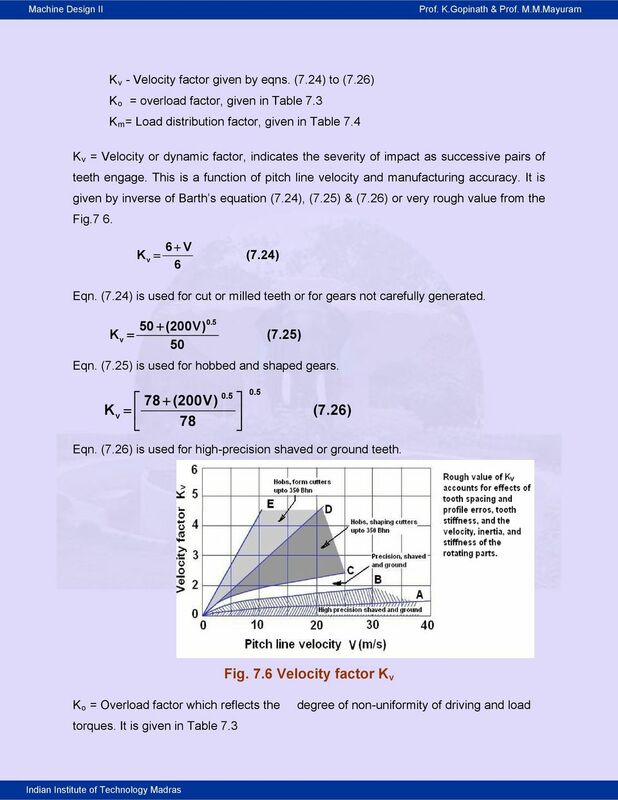 7.7 based on the ultimate tensile strength of the material for cut, shaved, and ground gears. k r = reliability factor given in Table 7.5. k T = temperature factor, = 1 for T 350 o C = 0.5 for 350 < T 500 o C Fig. 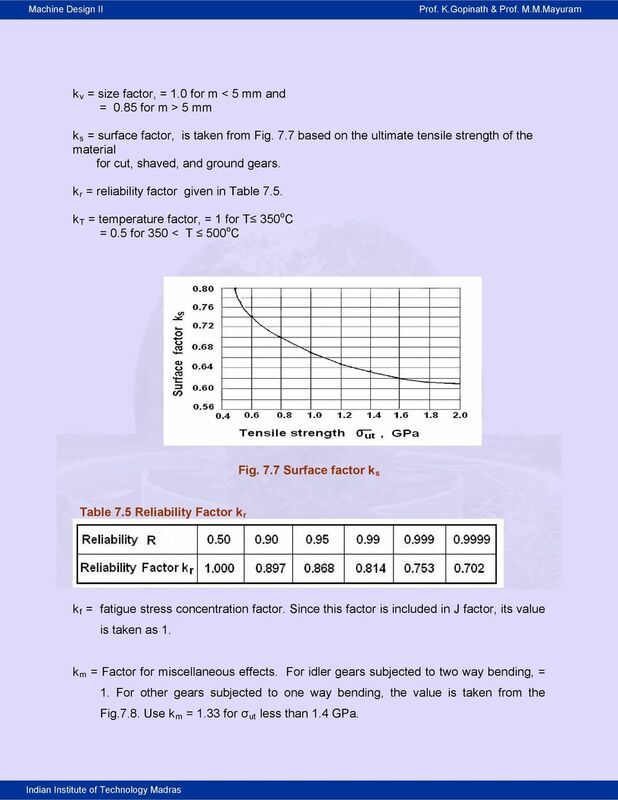 7.7 Surface factor k s Table 7.5 Reliability Factor k r k f = fatigue stress concentration factor. 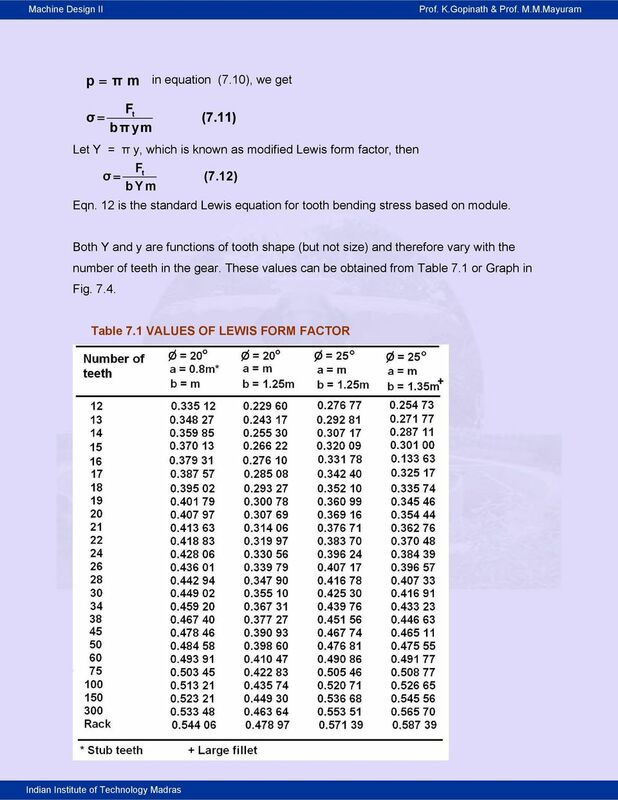 Since this factor is included in J factor, its value is taken as 1. k m = Factor for miscellaneous effects. For idler gears subjected to two way bending, = 1. For other gears subjected to one way bending, the value is taken from the Fig.7.8. Use k m = 1.33 for σ ut less than 1.4 GPa. 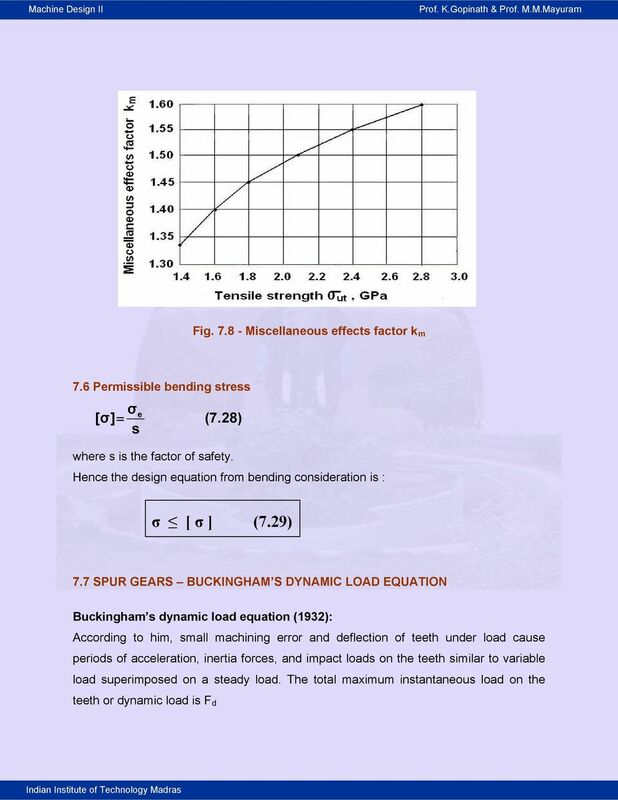 MCE380: Measurements and Instrumentation Lab Chapter 9: Force, Torque and Strain Measurements Topics: Elastic Elements for Force Measurement Dynamometers and Brakes Resistance Strain Gages Holman, Ch. Zero Backlash High Torque PSA-G Precision Gearheads High Precision When your applications require accurate positioning and precise motion control, Harmonic Drive Technologies offers the perfect solution. MECHANICS OF SOLIDS - BEAMS TUTORIAL 2 SHEAR FORCE AND BENDING MOMENTS IN BEAMS This is the second tutorial on bending of beams. You should judge your progress by completing the self assessment exercises. SOLID MECHANICS DYNAMICS TUTORIAL PULLEY DRIVE SYSTEMS. 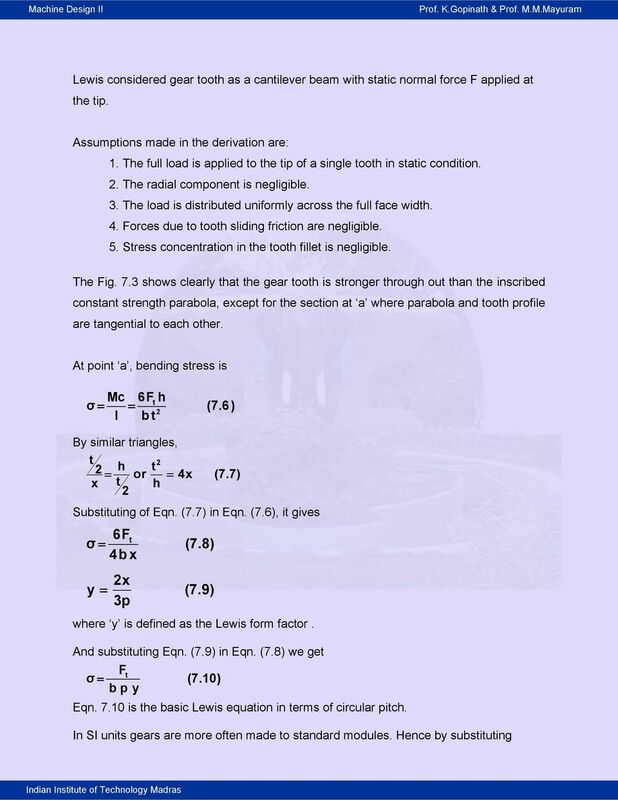 This work covers elements of the syllabus for the Edexcel module HNC/D Mechanical Principles. 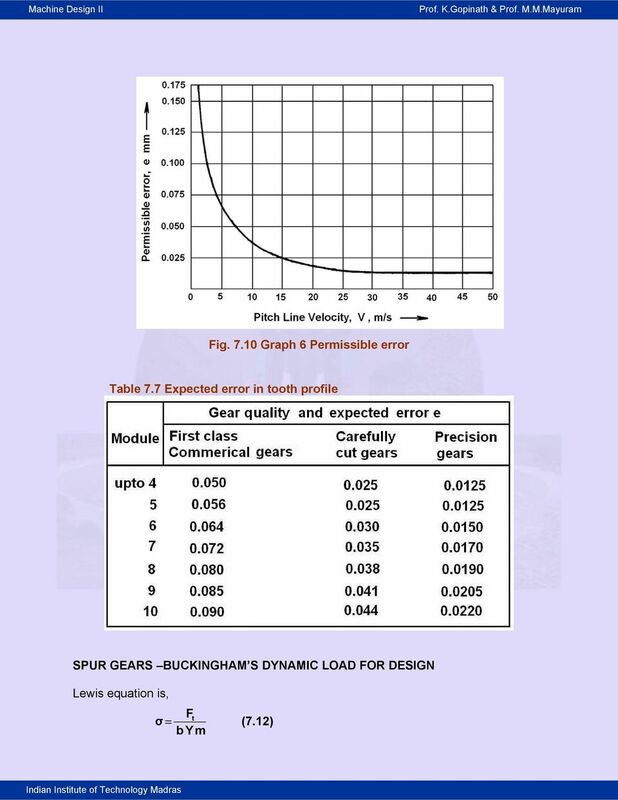 Direct Gear Design for Spur and Helical Involute Gears Alexander L. Kapelevich and Roderick E. Kleiss This paper presents an alternative method of analysis and design of spur and helical involute gears. 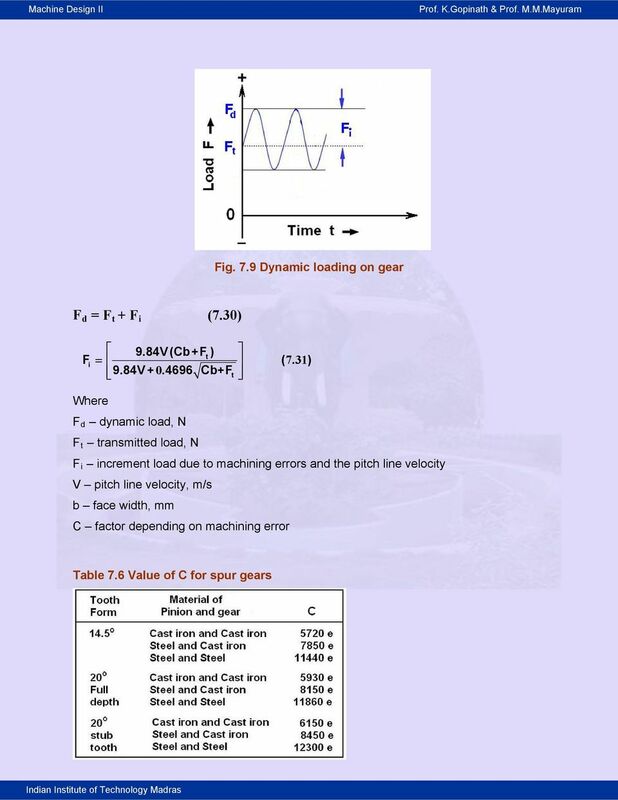 COMPUTER AIDED GEOMETRIC MODELLING OF CYLINDRICAL WORM GEAR DRIVE HAVING ARCHED PROFILE S.
Vol. 9 No. COMPUTER AIDED GEOMETRIC MODELLING O CYLINDRICAL WORM GEAR DRIVE HAVING ARCHED PROILE S. Bodzás Department of Mechanical Engineering, University of Debrecen, H-48 Debrecen, Ótemető str. -4. Motion. Table of Contents: Introduction to the Motion Subsystem 3.2. Concepts to Understand 3.8. Subsystem Interactions 3.26. Motion. International Journal of Engineering Research-Online A Peer Reviewed International Journal Articles available online http://www.ijoer. FLUID MECHANICS. TUTORIAL No.7 FLUID FORCES. When you have completed this tutorial you should be able to. 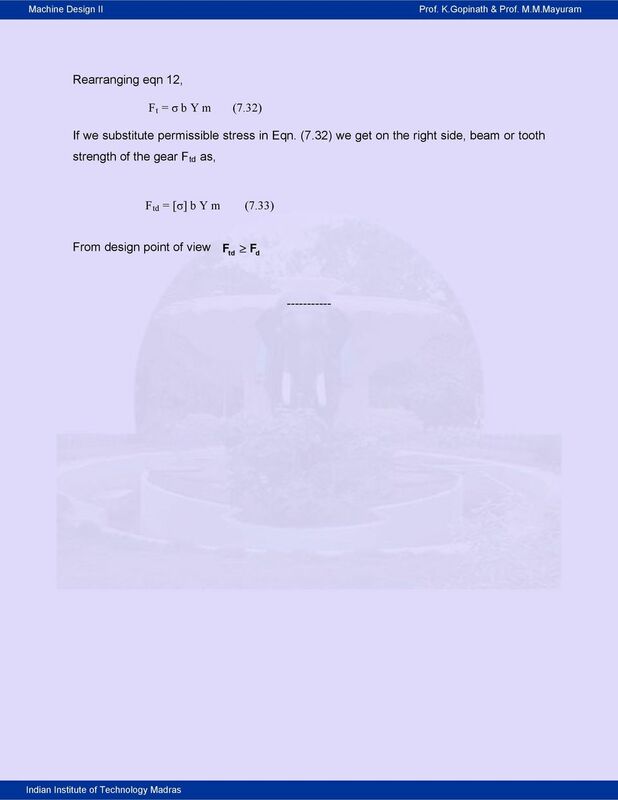 Solve forces due to pressure difference. OUTCOME 2 KINEMATICS AND DYNAMICS TUTORIAL 2 PLANE MECHANISMS. You should judge your progress by completing the self assessment exercises. STEPPING MOTORS to This section describes certain items that must be calculated to find the optimum stepping motor for a particular application. This section shows the selection procedure and gives examples.